Written in simple and lucid language, the essays included in this book provide the background and exposition of the creative works attempted by the litterateurs concerned. Indian culture finds its best expression in the literature of languages like Sanskrit, Hindi, Punjabi, Tamil and Telugu, as well as other regional Languages. Besides being a treasure trove for the literary, philosophical, social, economic, political and cultural history of India, they have been the torchbearers to humanity for the perpetuation of excellence. Book contains the profiles of Kalidasa (Sanskrit), Rabindranath Tagore, Bankim Chandra Chatterjee and Mahasweta Devi (Bengali), Subramania Bharati (Tamil), Bulleh Shah and Amrita Pritam (Punjabi), Kazi Nazrul Islam and Mohammed Iqbal (Urdu), Vedam Venkataraya Sastry (Telegu) and Munshi Premchand (Hindi). 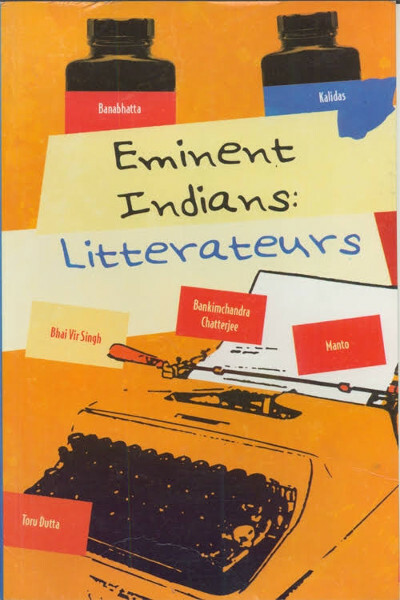 The book should be useful for all those interested in the study of Indian literature in general and regional writing in particular. M.L. Ahuja has over thirty books to his credit. He is the recipient of Janseva Sadbhavana Award (2006), Bharat Gaurav Award (2007) and Rajiv Gandhi Rashtriya Ekta Samman (2009). He was the area representative of International Association of Orientalist Librarians for three years and is now executive secretary of Afro-Asian Book Council. He is associated with book publishing as well as marketing of books and journals in India since 1959. He has travelled extensively both within and outside India and has presented a number of papers at several national and international seminars. He has also contributed a number of articles to journals and books.